Download mode is a special state on Android devices. 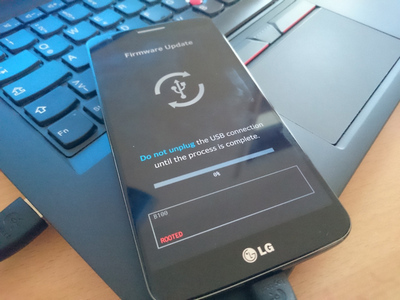 It is mainly used for ROM flashing or system update. 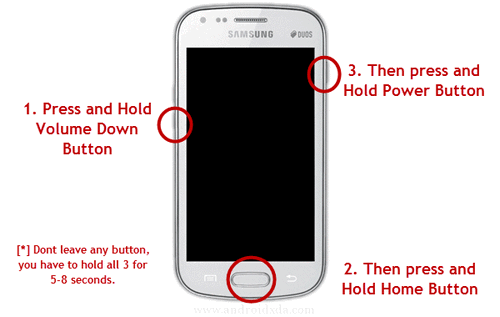 It is first found on Samsung smartphones and now almost all the phones are shipped with this feature. Once the phone entered into this state, the system will boot from external sources instead of the stock bootloader so you can replace the stock ROM in this mode. In additional, it is also widely used in Android rooting. In this page, I will show you how to enter into download mode on your Android device. To enter into download mode, you will have to simply press different buttons simultaneously, so that smartphone can be powered on. There are actually different methods that can be used for booting into download mode Android phone or tablet. In here, I will take Samsung and LG as an example. Step 1: Switch off your phone by removing the battery for about 5 seconds. Step 2: Re-insert the battery back into its place. Step 3: Press and hold Volume down + Home + Power buttons. All these buttons should be pressed simultaneously. Step 4: Hold the buttons until you see a warning message on your screen. Then, press Volume up button to confirm that you wish to enter download mode. Step 5: Now, you will see a green Android symbol with the texts reading ‘downloading… do not turn off target’. That’s it, your phone Samsung has now moved to download mode. In Samsung phones, the download mode will permit you to install new OTA updates by sending them directly from your computer to your phone with the help of a data cable. The thing you will have to remember here is that for your computer to work with the download mode there should be ODIN software present in your system. Step 1: The first thing you will have to do is to power off your LG phone. Step 2 : Press and hold Volume up button. Connect your phone to your computer with the help of USB cable. Step 3 : After a few seconds, you will find that the phone has moved into download mode. Now, you can begin flashing with the Flash Tool from LG. The above method applies to most of LG phones such as G5/G4/G3/V10/K10. Now you can flash new ROM or root the phone once it entered into the download mode. For smartphones made by other manufactures, it should use one of the methods shown in this tutorial. If you still have questions in this regard, please leave a comment below. I will show you the way to solve it as soon as possible.